Use these tools to get healthy, get leaner, boost performance faster and ultimately boost your metabolism. Sleep is perhaps the most under appreciated element of health, strength and fat loss. It is responsible for the resetting and regulation of your hormonal system and for that reason it is critical in helping you to create a hormonal environment that supports a fast metabolism and rapid fat loss. General Recommendations: Sleep a minimum of 6 hours per night with a goal of averaging 7.5-9 hours. Get the highest quality sleep you can by sleeping in a pitch black room and avoiding television and other bright dynamic lights for at least 30 minutes before bed. If you have trouble falling asleep, focus your thoughts and decide you want to sleep, ALLOW yourself to sleep, practise belly breathing to get into a relaxed sate. If your mind is racing – you will need to find coping skills to reduce your stress levels, but gentle music might help calm your thoughts. I use a sleep app, with added features that also track my health, diet and activity status. The stats help me identify stressors and how best to remove them. Most people don’t drink enough water to support their metabolism and detoxification. To start with you must drink enough water in order for your body to function properly. In addition to quantity, by drinking your water cold (exclusively before meals, not after) you can accelerate your metabolism even further. This is accomplished through a process called thermogenic homeostasis. What this means is your body likes to be a certain temperature, 98.6 degrees to be exact. When something forces your body to cool down below this temperature your body will react by producing heat. This production of heat requires calories and so will increase your metabolism. General Recommendations: Drink 32oz (1L) of fresh cold water first thing in the morning and 16oz (0.5L) of fresh cold water before each meal. Do not consume cold water after your meals as this can negatively affect digestion. Walking is perhaps the best add-on fat burning exercise EVER! In addition to your HIIT and other Metabolic training walking will help flush blood through your muscles and help your body deal with the waste products of high intensity exercise. By walking every day you can reduce stress, clear your head, get fresh air and absorb some much needed sunshine. 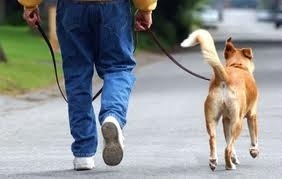 General Recommendations: Start by walking a minimum of 15 minutes every day. From there work up to 20+ minutes of brisk walking daily, preferably in an outdoor setting where you can get fresh air and sunshine. Think about how you could walk at lunchtime…. Fresh air, an opportunity for a mind clearing break and your daily vitamin D! This entry was posted in Fat Loss, LifeStyle and tagged fresh air, hydration, metabolism, sleep, vitamin d, walking, water. Bookmark the permalink. ← Signs Your Metabolism is Faster!